Editor's note: This story was first published at 7:20 p.m. on June 6. The commander of the Marine Corps' East Coast recruit training regiment has been removed from his job after an investigation into a recruit's death found instances in which proper policies and procedures were not followed. 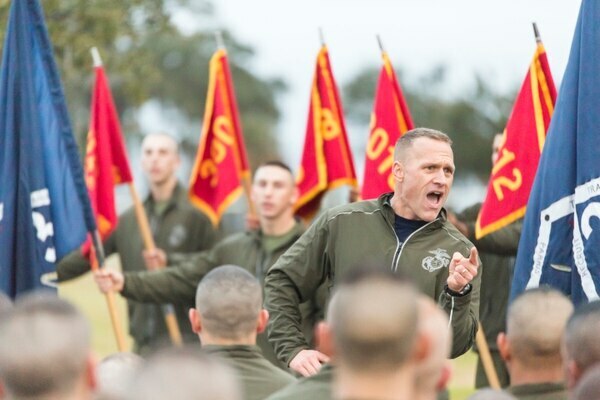 Col. Paul Cucinotta, commanding officer of Recruit Training Regiment at Marine Corps Recruit Depot Parris Island, South Carolina, was relieved of command on Monday due to a "loss of trust and confidence in his ability to serve in that position," according to Marine officials. Cucinotta was relieved by Maj. Gen. James Lukeman, the head of Training and Education Command. The relief was "based on information made known to Lukeman during the course of an ongoing command investigation," said Capt. Joshua Pena, a TECOM spokesman. Officials declined to comment further since the investigation into the recruit's death is still ongoing. The relief was first reported by the Washington Post. Col. Paul D. Cucinotta, commanding officer of the Recruit Training Regiment, speaks to new Marines of Kilo Company, 3rd Recruit Training Battalion, after a motivational run Jan. 28, 2016. Cucinotta explained the importance of upholding the values they learned in training when they return home on leave after graduation. Kilo Company is scheduled to graduate Jan. 29, 2016. Parris Island has been the site of Marine Corps recruit training since Nov. 1, 1915. Today, approximately 19,000 recruits come to Parris Island annually for the chance to become United States Marines by enduring 13 weeks of rigorous, transformative training. Parris Island is home to entry-level enlisted training for approximately 50 percent of male recruits and 100 percent of female recruits in the Marine Corps. Col. Paul Cucinotta, former commanding officer of the Recruit Training Regiment at Marine Corps Recruit Depot Parris Island, S.C., speaks to new Marines after a motivational run on Jan. 28. On March 18, Raheel Siddiqui, a 20-year-old from Taylor, Michigan, fell 40 feet to his death while attending recruit training at Parris Island. Ed Buice, a spokesman for the Naval Criminal Investigative Service, told Marine Corps Times in April that no foul play was suspected. Nabih Ayad, a lawyer representing his family, told the Detroit Free Press that after Siddiqui had fainted, and that a trainer had revived him 11 days into training, a trainer woke him up by smacking him. When Siddiqui woke up, he then ran and jumped over a ladderwell wall to fall three stories to his death. His family but his family does not believe it was intentional he intentionally committed suicide. "It’s extremely odd to think that someone would commit suicide in the middle of his training in the day time, to just jump to his death," Ayad told the Detroit Free Press. He could not immediately be reached for comment on the relief. "It’s hard to swallow." The incident prompted Rep. Debbie Dingell, the family's congresswoman, to ask the service's top leaders if hazing was involved. On April 4, she wrote a letter pressing Commandant Gen. Robert Neller for more information on Siddiqui's death. "I am concerned about it, and I really do want the facts," she recently told Marine Corps Times. "I'm trying to do this right, but I have a moral responsibility to the family." In her letter, Dingell asked Neller to respond by April 18 about how long the Navy Criminal Investigative Service investigation into Siddiqui's death was expected to take and whether investigators had found evidence that the recruit may have been hazed while at Parris Island. More than two months later, she received a response from Brig. Gen. David Furness, the commandant's legislative assistant, informing her that there are two ongoing investigations tied to Siddiqui's death: a command investigation and one by NCIS. The command investigation led to Cucinotta's relief, Furness wrote. The NCIS investigation "is expected to continue for some time" he said, adding that and it’s would premature to comment on the hazing allegations at this point while still ongoing.A command line of duty investigation was also opened and Cucinotta was relieved of command, he said. In a response statement, Dingell said the investigations should be conducted in a thorough and unbiased manner, but must be completed as soon as possible. "[I] will remain fully engaged with the Marine Corps and all stakeholders to ensure we have a clear picture of what happened, including the actions that led to the June 6 discharge of a commanding officer at Parris Island," she said. "...This is the very least Private Siddiqui’s family and our community deserve." The Washington Post, which first broke the news of Cucinotta's relief, reported that Dingell's office had received a letter from a Marine general. The letter was signed by Brig. Gen. David Furness, the commandant's legislative assistant. Pena said all Marine commanders — specifically those at boot camp — are held to a "very high set of standards." "This is particularly pertinent at the recruit depots where Marine leaders instill recruits with our ethos and core values of honor, courage and commitment," he said. "Toward this end, the Marine Corps remains committed to ensuring the utmost trust and confidence in the leaders assigned." Cucinotta did not immediately respond to requests for comment. Lt. Col. Chad Hoare, Recruit Training Regiment's executive officer, will serve as acting commander until a replacement is assigned, said Capt. Gregory Carroll, a Parris Island spokesman. 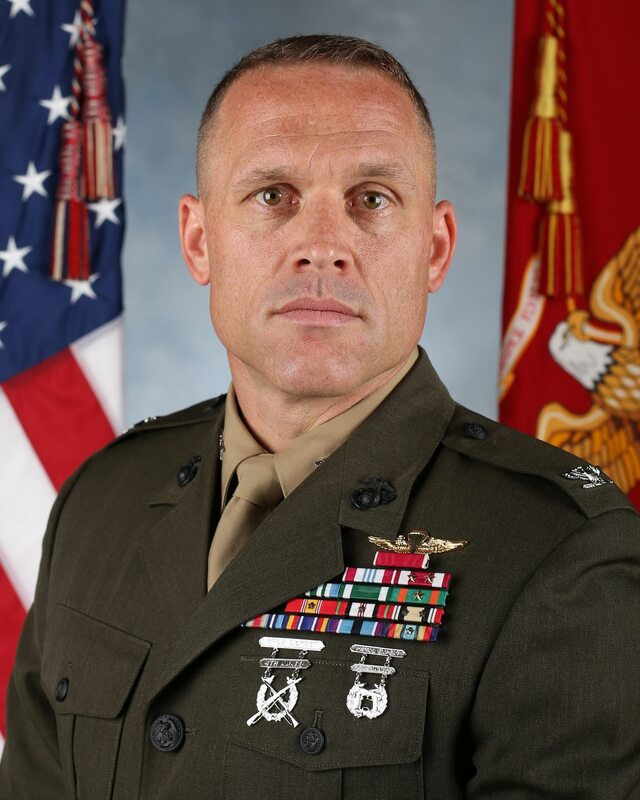 Cucinotta is the second leader at Parris Island to be removed from his job in recent months. In late March, Cucinotta relieved Lt. Col. Joshua Kissoon of command over a loss of confidence. Capt. Gregory Carroll, a Parris Island spokesman said that firing occurred after allegations of misconduct, stressing that it wasn't tied to Siddiqui's death. Cucinotta assumed command of Recruit Training Regiment on July 10. The field artillery officer spent four years prior serving as the assistant chief of staff for operations for U.S. Central Command in Bahrain. From 2005 to 2008, he acted as the Marines' exchange officer to the Army's 75th Ranger Regiment located at Fort Benning, Georgia, deploying with them to Iraq and Afghanistan multiple times.